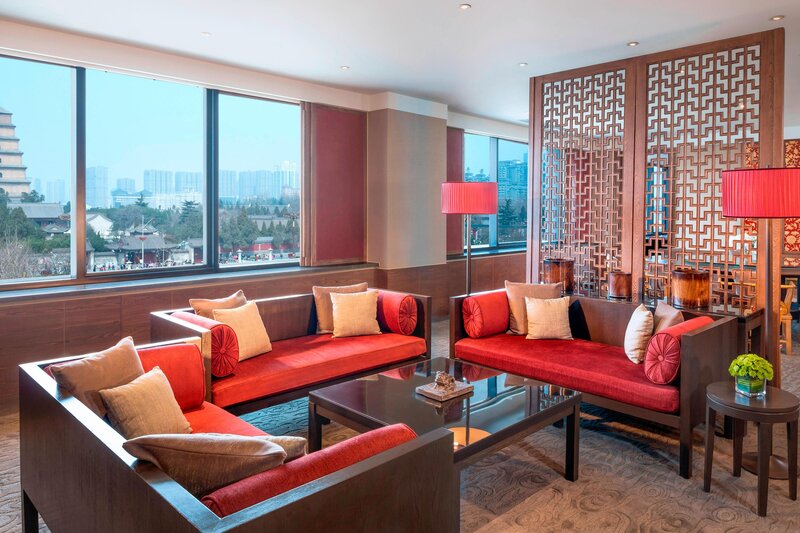 Stay in an exciting historic location, just steps from the Big Wild Goose Pagoda and Xian&apos;s many cultural gems, as well as restaurants and an upscale shopping area. Guests also enjoy easy access to an array of multi-national companies. 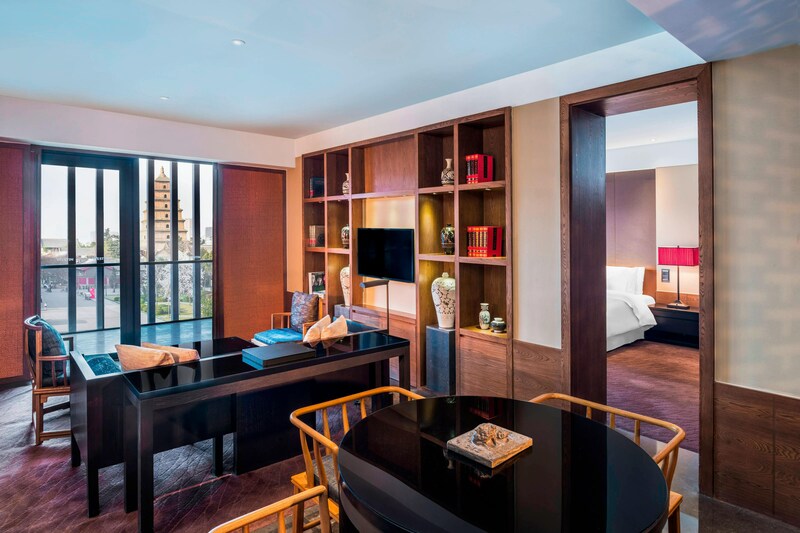 Rediscover your best self with our welcoming amenities, including the on-site Xian Qujiang Museum of Fine Arts. Whether your tastes run to ancient art and fine dining or recharging in our WestinWORKOUT® Fitness Studio or Heavenly Spa by Westin™, renewal awaits. Experience residential comfort in our 377 spacious guest rooms and suites. Each room features contemporary design, high-tech entertainment and business options and welcoming amenities such as the Westin Heavenly® Bed, rain forest shower and separate tub. The Westin Xian is the first Westin with an on-site museum. 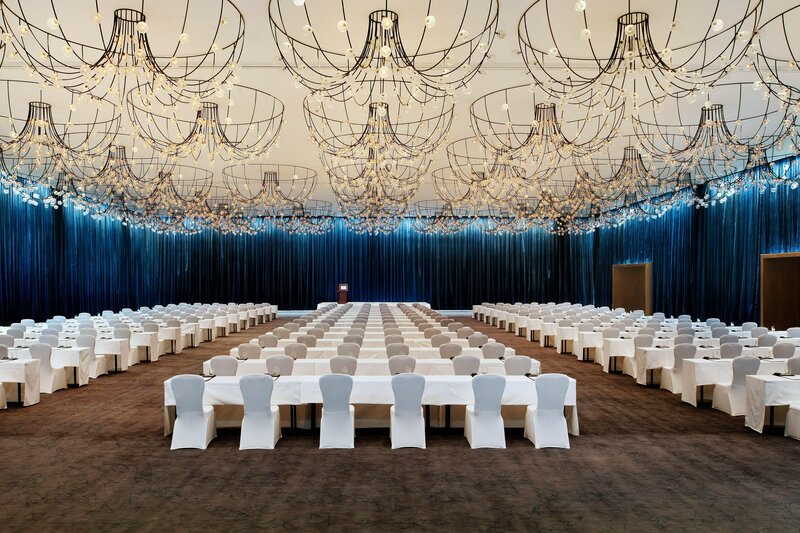 Plan a truly mindful meeting with the help of our dedicated team of convention specialists. 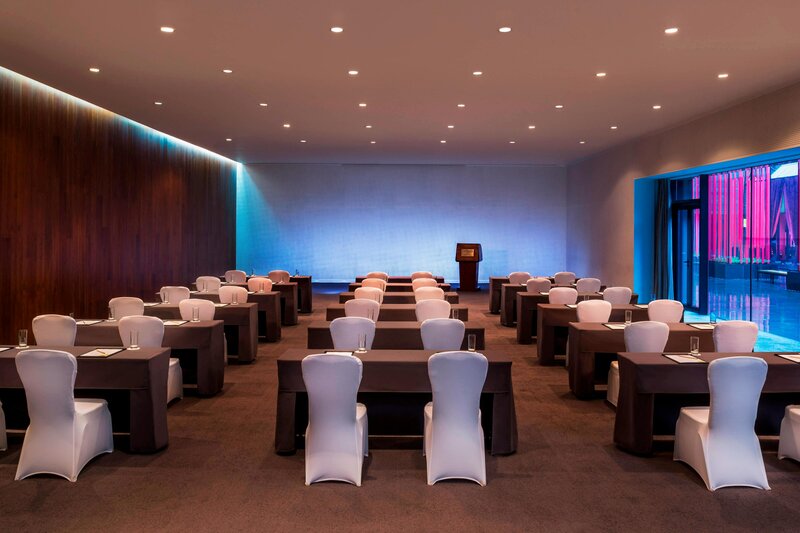 From organization and logistics to technical expertise and the latest audiovisual equipment, we will handle every detail. The hotel is strategically located in the historical area of Xi&apos;an. 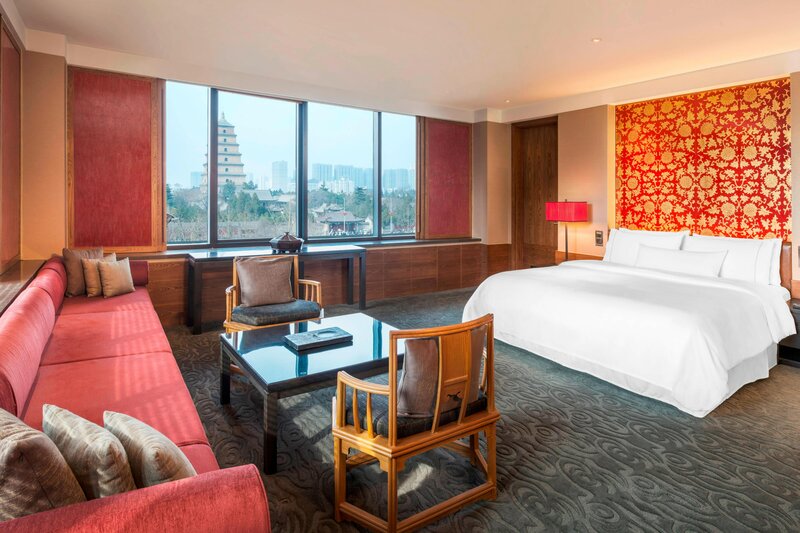 The Westin Xian is opposite the Big Wild Goose Pagoda and some of the rooms have a direct view of this iconic and historic pagoda. 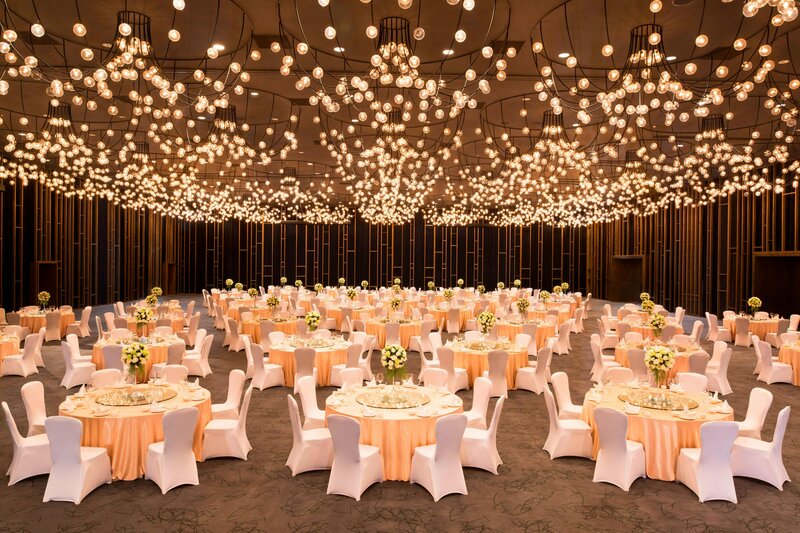 Situated in the Qu Jiang New District, The Westin Xian is only a few steps from fascinating cultural sites, fine dining restaurants, entertainment, and shopping areas. Historic treasures in the form of bronze, gold, and silver artifacts and Tang Tomb murals await discovery at the Shaanxi Provincial History Museum, while the Forest of Stone Steles Museum is home to a trove of stone tablets. The Qin Opera, an old Chinese form of opera, offers live insight into this inspiring ancient culture. Nearby, temples and storied ruins, such as the Big Wild Goose Pagoda, reveal the city’s role as one of the Four Great Ancient Capitals of China. Just a few kilometers north, the 14th-century walls of the ancient inner city protect Xian’s celebrated Bell Tower, the original capital’s geographic center, and the Drum Tower. Stroll along the antique streets, stopping in characteristic shops that sell traditional handicrafts—from ceramics and paintbrushes to embroidery. Just 30 kilometers east of the city sit the Terracotta Army vaults. A UNESCO World Heritage Site, the vaults date back more than 2,000 years and house thousands of life-size terracotta warriors who protect the nearby tomb of China’s first emperor, Qin Shi Huang.